for $125,000 with 3 bedrooms and 2 full baths, 1 half bath. This 1,240 square foot townhouse was built in 2003 on a lot size of 0.03 Acre(s). Spacious townhouse featuring open floor plan with lots of natural light. Entry to a large living room, dining room, kitchen with kitchen bar, laminate flooring and 1/2 bath. Enjoy entertaining and relaxing on the deck off of the dining area. The upstairs has a master bedroom with private bath and 2 additional bedrooms with hall bath. The basement has a large 1 car garage with plenty of storage and separate laundry room. 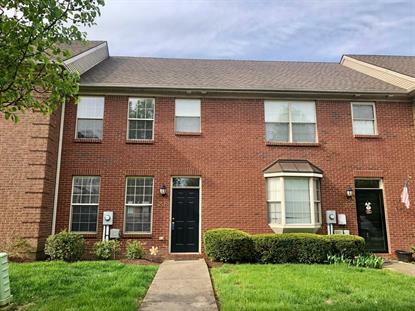 This lovely townhouse is in beautiful south Lexington. Conveniently location to schools , shopping, restaurants, short drive to UK, Man O War and New Circle Rd. Call for your private showing today!